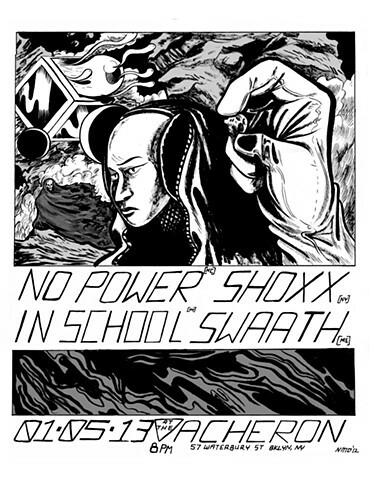 Gig Poster for Shoxx, No Power, Swaath and In School gig at the Acheron (R.I.P.) back in 2013. Great show.